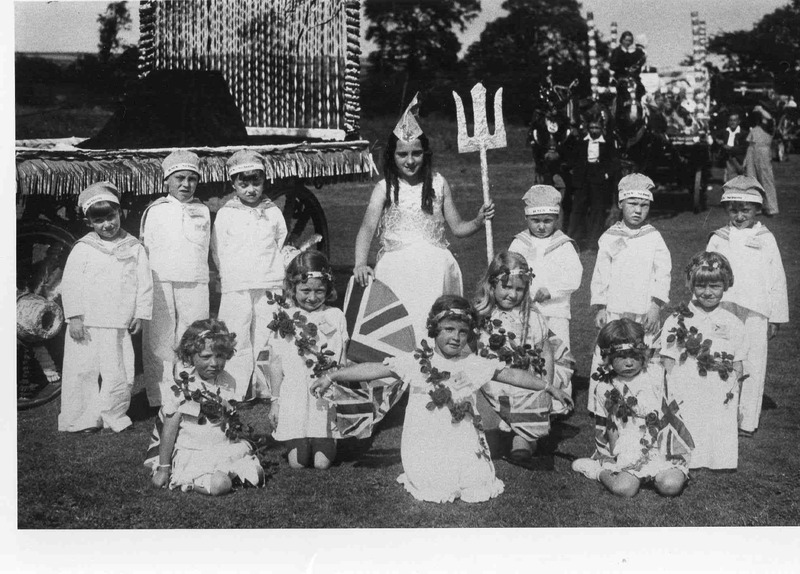 Fancy dress for Killamarsh Hospital Gala in 1930s. See note below. Photo courtesy of Mr V. Hopkinson. Fancy dress for Killamarsh Hospital Gala 1930s. Back row: Malcolm Shimwell, Derek Deakin, Jim Mather, Barbara Spencer, Don Marsden, Ron Hicken, Ron Chilton. Front row: Iris Baldwin, Mona Penn, Margaret Smith, Jean Walton, Maisie Fox, Betty Barker.